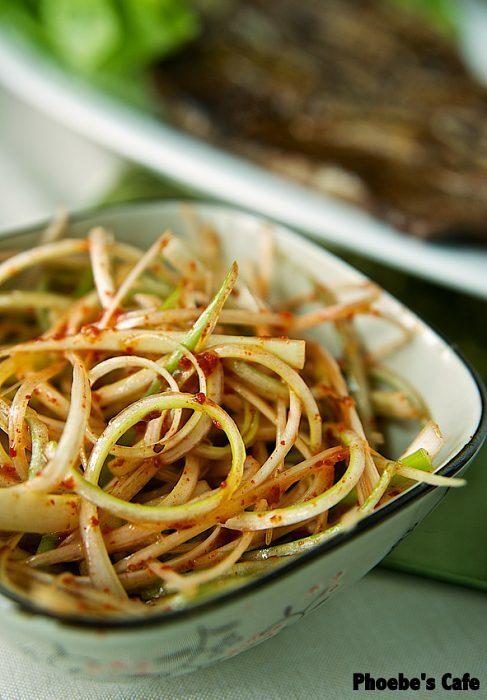 This Korean spring onion salad is called ‘Pa Joe Ri’ in Korea, usually served alongside Korean BBQ or grilled meats . 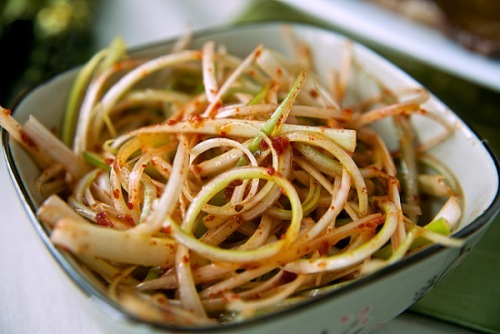 It’s hard for me to imagine Korean BBQ without this refreshing salad. It’s also good to eat with any kinds of BBQ or steak whatever beef or pork even game. 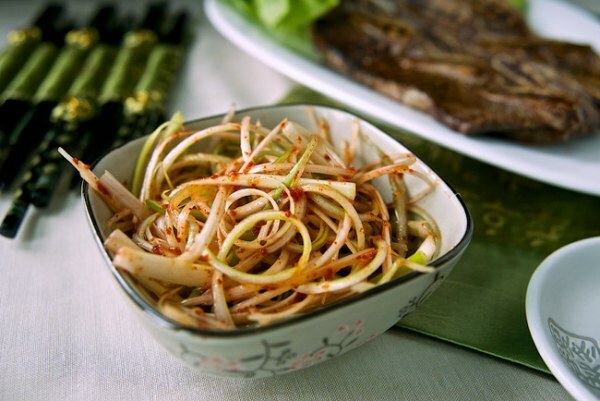 Remember, the spring onion has to mix with the sauce just before serving. Otherwise the spring onion will go soggy and wilted just like any other Western salad. Clean the green onions, cut in half and shred thinly. Then soak the spring onion in cold water about 5 minutes for a good crunch and drain. 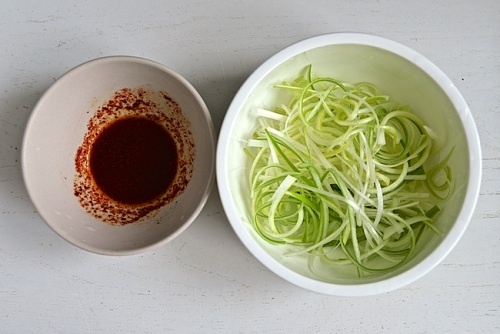 Combine all the sauce ingredients in a bowl, mix with the spring onion just before serving.